Edinburgh, Scotland, UK; 15 August, 2018. 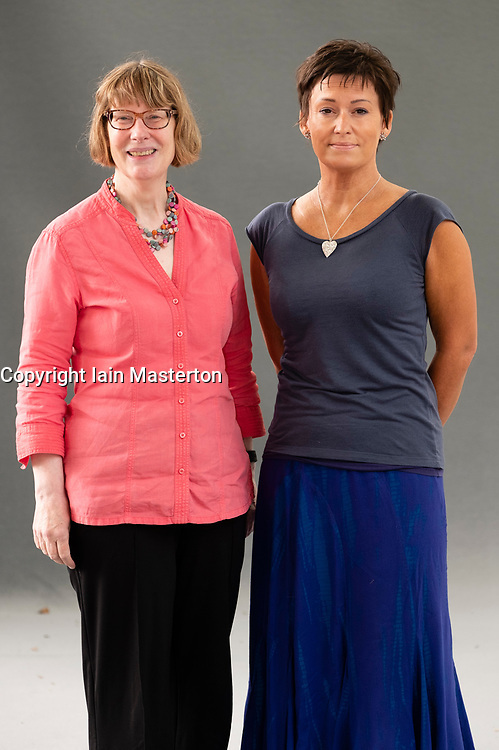 Pictured; Edinburgh authors ES Thompson (R) and Olga Wojtas. ES Thompson's "The Blood" is a thriller set in Victorian London where an apothecary disguises herself as a man to investigate savage murders . In Olga Wojtas's " Miss Blaine's Prefect and the Golden Samovar" time travelling librarian Shona heads to 19th Century Russia for a match-making mission.